When it comes to garage doors - we are the best! Get a new perspective on your garage door! Browse our blog posts and discover all kinds of new things about how the system works. You'll also find a range of tips for keeping your overhead door in good shape. Scroll down to browse more! Garage doors might seem intimidating due to their size, but they still need to be taken care of. Click here to find out how to do just that. 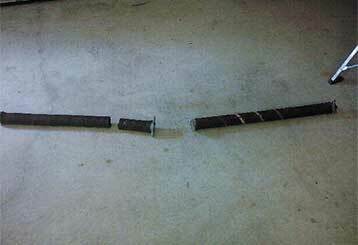 Do you know how to prevent a garage door spring from suddenly snapping? Our team runs through the common causes of a broken spring right here, click to read more! Our technicians are fully qualified and can quickly fix any type of problem. Our experts are dedicated to meeting your expectations and surpassing them whenever possible. 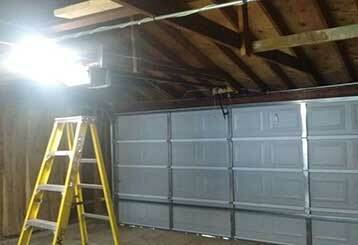 We are fully committed to providing same day repair services to every garage door owner in need. Our team will explain the process to you so you'll know exactly what to expect. We became widely known as the leading garage door service team around thanks to our commitment to providing excellent results for affordable prices that don't break the bank. We install new doors and openers, repair old malfunctioning systems and replace anything from broken springs and cables to damaged panels. Learn more by browsing the rest of our website. When you hire Garage Door Repair Darien, you get the best service, the best products and the best results on every call! Thank you for choosing Garage Door Repair Darien! One of our experts will be in touch soon. Feel free to browse our website for FAQ, tips and more useful information in the meantime!